Forever Fat Loss is a weight loss guide written by Ari Whitten, professional fitness trainer, nutrition expert, and independent health researcher. Whitten highlights the fact that diets fail 95 percent of the time because they work against the natural wisdom of the body. Most diet and fitness programs require dieters to endure deprivation and discomfort, and then only produce temporary results. Forever Fat Loss is going to show you that the only intelligent approach to fat loss is to work with your biology instead of against it. Ari Whitten explains that the methods most people use to lose weight are mostly ineffective and often counterproductive. Some of these techniques may result in short-term weight loss. However, eventually metabolism is negatively effected, which causes people to gain even more weight in the long run. His goal is to help dieters achieve effortless and permanent weight loss. The majority of diets require dieters to restrict their intake of fat, carbs, or calories. But Ari Whitten claims that you can satisfy your cravings for sweet, salty, and fatty foods and still obtain your goals. You can achieve this by using whole natural foods to satisfy your cravings. You don’t have to count the calories. The most important thing is that you don’t give in to eating processed foods. They key is to break your addiction to these foods. Then you can transition to a diet more closely in harmony with your biological need for fuel. Every hour you spend watching television may reduce life expectancy by 22 minutes. Poor quality and inadequate sleep can increase your bodyfat set-point, which makes your body more efficient at storing fat. Addressing these factors may result in fat loss without any forced calorie restriction or suffering through hunger. They may even be the secret to why you have trouble losing weight, especially if you have followed strict diets for years. Free range eggs, free range turkey, free range chicken, lamb, grass-fed beef, wild Alaskan salmon, wild shrimp, organic feta cheese, organic yogurt, whey protein, coconut cream, spinach, bok choy, broccoli, Portobello mushrooms, cucumber, tomato, peppers, onions, carrots, potato, avocado, berries, extra virgin olive oil, cinnamon, raw cacao. Dieters are encouraged to stand as much as possible – minimizing sitting – during the day. You should also do some form of exercise, beginning with walking. Once you have established that foundation you can consider adding in daily workouts. High-intensity interval training is especially recommended because it is best supported by scientific research to reduce bodyfat levels. Forever Fat Loss: Escape the Low Calorie and Low Carb Diet Traps and Achieve Effortless and Permanent Fat Loss by Working with Your Biology Instead of Against It retails at $12.99. Does not require calorie counting or carbohydrate restriction. Forever Fat Loss encourages consumption of whole, unprocessed, organic foods. Can help repair metabolic damage related to chronic dieting. Dieters are advised to eat in accordance with hunger levels and not to forcibly restrict food intake. Includes meal suggestions and recipes. Wild seafood and organic animal products may not be easily accessible in certain locations. Dieters may experience fatigue when attempting to stand up for most of the day. Forever Fat Loss does not provide options for vegetarian dieters and takes a negative stance on vegetarian diets in general. Necessary to prepare and eat all meals at home to follow the program as directed. 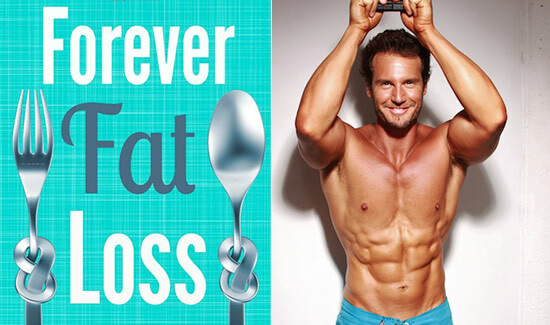 Forever Fat Loss outlines scientifically proven methods for enhancing health and releasing excess weight. It offers an alternative to fad diets and calorie restriction that works in harmony with your natural instincts. This approach is more likely to produce lasting results because it protects your metabolism and eliminates negative effects of chronic dieting.